Cognoa develops AI-based digital diagnostics and personalized therapeutics that provide accurate, earlier diagnoses and more effective treatments to improve outcomes and lower behavioral healthcare costs. Its first clinically-validated algorithm-based device identifies autism as early as 18 months of age, when early intervention has the greatest potential for improved lifelong outcomes, over two and half years sooner than the national average age of 4.1 years. Cognoa is working with clinicians to offer additional precision medicine capabilities for faster behavioral health diagnostics and more personalized therapeutics, enabling greater opportunities for life-changing outcomes. 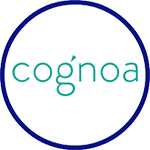 Cognoa also provides a child development app to parents through their employers.